How much control do you think you have? There is something soothing about writing every morning for 10 minutes. Just 10 quick minutes. There is not a lot that can be said in such a short amount of time but it helps to keep thoughts in order. Wouldn’t you agree that the natural state of our head is chaos? Where do all these thoughts come from? Can you control the next thought that is coming to your head? I don’t believe you if you said yes, they just emerge, without our permission. Who are we really? The thing that observes the thought or the thought itself? I believe the answer is the thing that observes, that notices it, we are our consciousness. We have to be, because if not, how else could we be aware of it? I find the fact that we can’t control the next thought confusing when I try to think stoically. 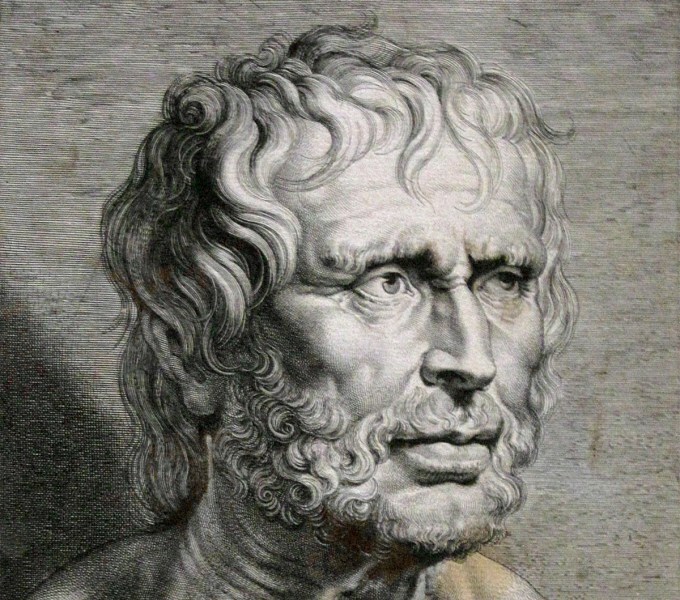 The great ones (meaning Seneca or Marcus Aurelius) tell us that we have control of our emotions and our thinking. But, when was the last time you decided to have a thought, the last time you decided to think what you are going to think? It’s impossible, by thinking at least. We cannot think our way out of emotion either, emotions come and go and we don’t decide what to feel and what not to feel. At least at the moment they emerge. So then, where is it exactly that we have control? Lately I’ve been thinking that control of ourselves and deep stoicism is not in the mind. It’s deeper than that realm. You cannot control an emotion at the level of the mind. When we are thinking, we can resolve whatever problem we are having in the mind. It’s just a matter of the number of questions asked, trust me, the answers will come. But, when we are having emotional stuff going on inside, like fear, anger or whatever it is, and try to resolve it with our minds, we are doomed. It is not the same level of interaction (thinking). That level of thinking happens either intellectually or emotionally and we need to difer what is needed. I do think stoicism is the best way to own ourselves (whatever the hell we are). But we have to think deeply, not just at the level of the mind but of intuition and emotion as well. Right in this moment, in the present. We only have this moment to act. If we want to resolve the emotion we are experiencing right now, with our heads, we would just spin our brains ad infinitum, which is what happens must of the time. It’s the incessant chatter that we know is not going anywhere in specific. The first time I encountered stoicism in my life I tried to control the emotion or my thinking to the point that I became exhausted for trying to control the uncontrollable. Emotion and thoughts will come and go and they are there for a reason. We are not supposed to feel happy the entire time. However we are constantly sold that being happy and ecstatic the whole time is the way to be. We have to have an aim, the tension inside us produces that, produces movement and striving towards something . Deep stoicism is about control, we can only have control right here in the moment with engagement. This is why I think the secret for control is awareness and attention, to be here as Ralph Waldo Emerson said, above time. The only time we have to do something is right here. When we experience an emotion, we deal with it in the moment. It comes to be a problem of understanding. If we don’t want to understand ourselves or the world, we cannot resolve whatever it is that we want to resolve. How is it that we understand something? Understanding is deciphering how or why something does what is does. It is a matter of truth, a matter of how reality is actually happening or at least as close as we can get to it. Truth becomes our aim. The work of control reduces to being a work of the moment, continual understanding and acting based on the present moment. This is why the stoics argue that living in the present moment is fundamental. There is no other moment to work on something like now. The secret of control is engagement. We can control being aware of what is happening so we are not running to keep up with what happens inside us, but be as close as we can get to the dialogue of feelings and thoughts we are having with ourselves and with the world, so we can guide them towards truth and purpose (something which is beyond ourselves).